Fun fact: The color of your logo directly impacts the way your consumers interact with your product or service. You walk into a friend’s house for dinner, and you immediately take notice of your environment. You like their wooden tables, their gold trimmings, but then you stare at the color of the walls. Drenched in olive green, you can’t help but feel like you’re in a forest. However, your host believes it gives even the most casual dinner a touch of elegance. They designed the room to mimic a royal dining room hall they visited on their vacation in France. Why are your opinions so different? 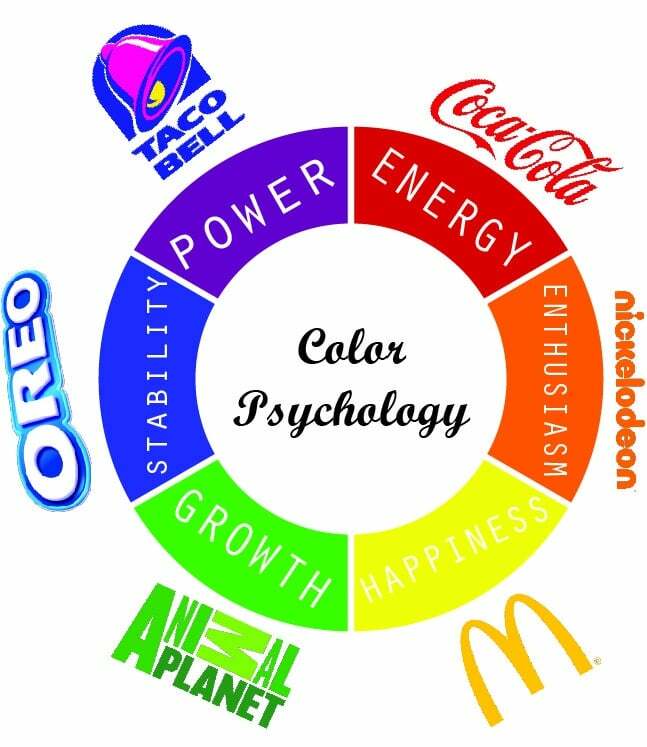 That’s the idea behind color psychology. When applied to consumer trends, color influences buying habits at a very subconscious level. In the study titled the Impact of Color in Marketing, researchers noticed that a person can make a quick choice between (certain) products influenced heavily by the color of the brand. As the matter of fact, you may have done it yourself without even noticing. How can color psychology affect us in the real world? When we’re strolling down the aisles of a supermarket, there is far too much stimuli for us to look at every single detail of every product around us. If we are browsing the store for our new favorite midnight snack, our brains need a quick and easy method to block out any distractions that may hinder our mission. In essence, when our eyes are glazing over through the dizzying amount of choices we have, our brain sends a message to our visual cortex for a specific criteria to focus on. So, what do our smart little brains do? They search for connections from what we already know to find something new. When it comes to how the brain interprets information, our visual experience can alter our perception. How do you choose the right color for your brand? When it comes to deciding the color for your brand, you want to make sure that you grab your target audience’s attention. Inside our brain, we are making a quick decision if the color in your brand is appropriate for the product being sold, according to the study The Interactive Effects of Color. On the other hand, a study titled Exciting Red and Blue stated that brand personality speaks to a consumer as well. That means that for your business to choose the right colors for your brand, you incorporate what your consumer like with what makes your brand distinctiveness. After you’ve chosen your logo, tagline, and message, you pick the main color for your brand intertwined with accent colors. However, unlike your friend’s olive green walls, it is imperative that you choose the colors that will send the best message. Right now, there has been a huge trend in the “Go Green” movement, which is why many organic food sellers add green into their logo. Similarly, we’ve associated the color red with passion and pink with romance, which is why we see these colors so much around Valentines. 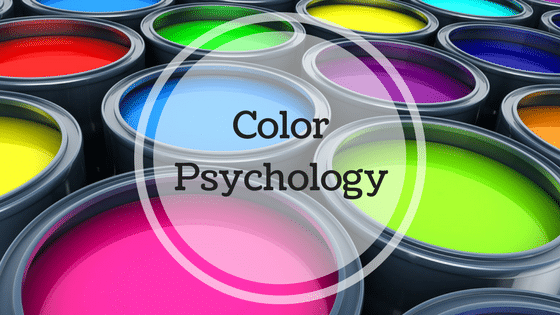 How can you apply color psychology in your business? Using color psychology in the early stages of your branding and marketing process can reel in your target audience. You can download our Marketing Action Plan Template to get started on your marketing strategy. Once you know who you are looking for, you can know how to make them find you in the crowd of competitors.